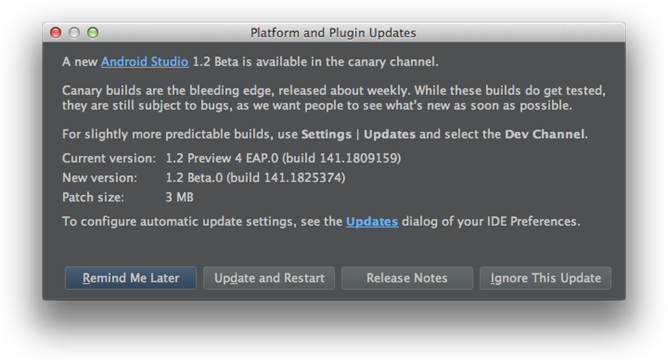 Upgrading to IntelliJ 14.1 brings a host of new features. The changes may even come as a bit of a shock to developers that haven't been following along with the preview builds. Perhaps the most significant improvement is that the debugger now shows variables inline with code. Don't worry, the Variables and Watches views are still intact, but now it might be easier to hide them away or use the space for Logcat. Another big headlining feature is a built-in decompiler. This can be immensely helpful for understanding what's happening inside of 3rd-party libraries that are poorly documented or misbehaving. Thanks to IntelliJ 14.1, the debugger can even follow execution into decompiled code in many instances. I've used this a few times on my own projects and it has already saved me several hours of work on a handful of occasions. There are quite a few improvements for code editing, including: new refactoring techniques, code generation, simultaneous tag editing, arbitrary multiple selections, and intelligent indents based on code style. All of these changes have made code editing more fluid, and much faster than ever. Again, the list of new features seems to go on and on. Take a look at the full list of What's New on the IntelliJ site. There are also a few important changes unique to Android Studio, including support for version 1.2 of the Gradle plugin, which fixes some bugs and improves support for unit testing. 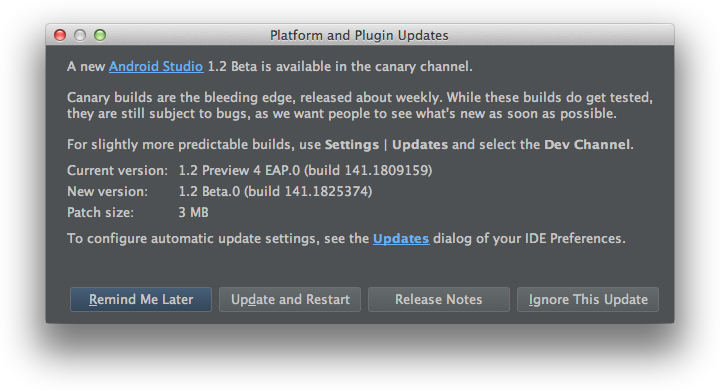 If you're following the Beta or Canary channels, have Android Studio check for updates and v1.2 Beta.0 is available for download. Updating from v1.1 shouldn't require a fresh install in most cases, but anything before that may require re-downloading a new installer package. If you're currently on Stable builds and you would like to take a small risk by switching over to Beta, run a check for updates and click on the 'Updates' link to open a dialog where you can easily switch channels. Of course, Beta versions usually make it to the Stable channel after a couple of weeks, so it might be worth waiting for any last-minute bugs to be worked out. 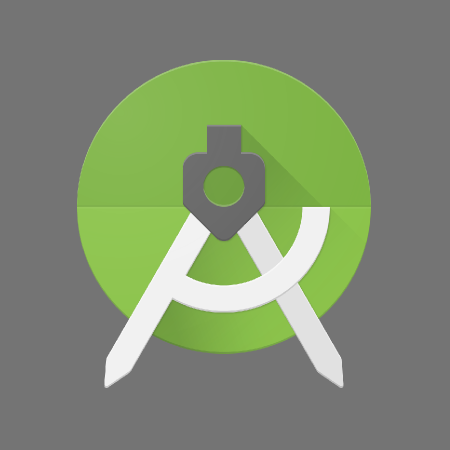 After having used the Android Studio v1.2 preview builds for the last month, I think it feels like the single biggest and most important update ever. I've experienced very few bugs, everything is running pretty fast (even on my older laptop), and the new features are very well implemented. I'm a happy developer.